For athletes and sports enthusiasts alike, the elbow is a vital performance joint, whether you’re swinging or throwing or lifting your favorite after-activity beverage. 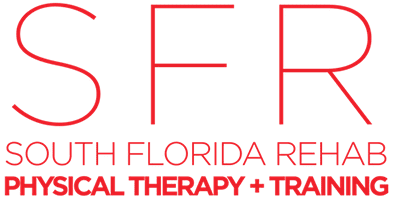 To safeguard this delicate hinge, South Florida Rehab and Training Center (SFR) in Miami offers physical therapy and specialized training programs to help condition and strengthen your elbow, as well as help it recover from injury or surgery. If your elbow is giving you problems, or you’d just like to ensure it doesn’t, call or book an appointment online. Rounding out this intricate joint is a complex system of tendons and muscles that give your elbow strength and flexibility. Because your elbow is complex, several injuries or conditions can crop up among activities requiring throwing or swinging. Sports and activities, such as tennis or golf, put an enormous strain on your elbow, which often causes small tears in your tendons and muscles, leading to pain and inflammation. How are elbow injuries treated? The rehab specialists are also skilled when it comes to the aftercare of Tommy John surgery or UCL reconstruction, which repairs your UCL by using a tendon, or graft, from another part of your body. What programs strengthen elbow performance? South Florida Rehab and Training Center offers training programs for most athletes, which provide preventive conditioning and strengthening with an eye toward improved performance. For baseball players, in particular, South Florida Rehab and Training Center offers the Tommy House throwing program, which focuses on warm up, stretching exercises, and throwing, delivering incredible results for professionals and amateurs alike. If you’re unable to participate in your favorite sport or activity because of elbow problems, or you’d like to avoid problems entirely, call South Florida Rehab and Training Center, or book an appointment online to learn more.